Product description: TURBANED TORNADO is written by Khushwant singh and published by Rupa publications. 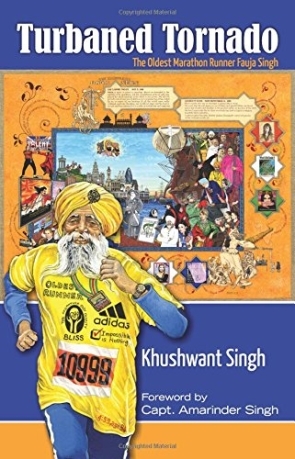 Buy TURBANED TORNADO by Khushwant singh from markmybook.com. An online bokstore for all kind of fiction, non fiction books and novels of English, Hindi & other Indian Languages. Khushwant Singh, who died in March 2014 at the age of 99, was India?s best-known writer. His bestselling books include A History of the Sikhs, Train to Pakistan, Delhi: A Novel, Ranjit Singh: Maharaja of the Punjab and an autobiography, Truth, Love and a Little Malice.